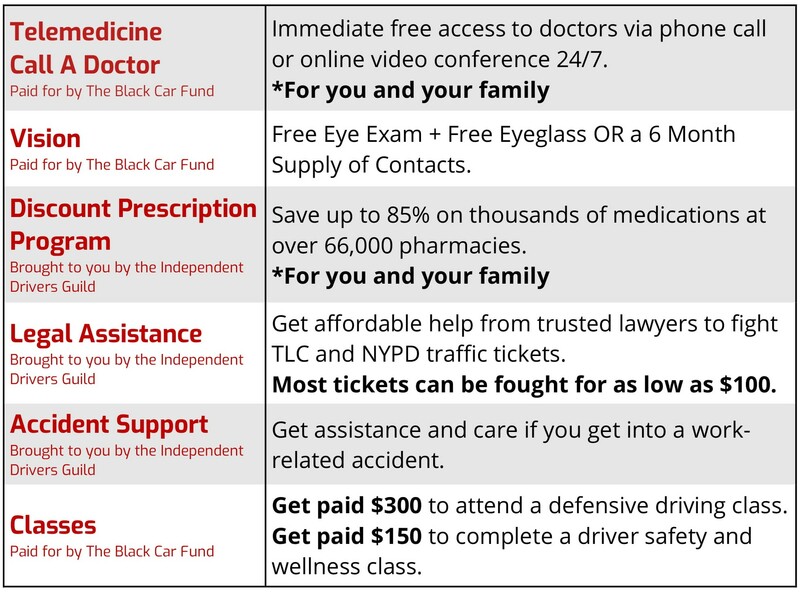 All NY Black Car drivers for Lyft, Uber, Via, and traditional services such as Vital, receive free and discounted benefits made possible by The Black Car Fund and the Independent Drivers Guild. Complete the information below to activate your Drivers Benefits. Or, call us at (833) 814-8590 from Mon-Fri 8:00 am-8:00 pm. If a Steward referred you, which one? Which of these benefits are you most interested in? Would you like to receive a voucher for a free flu shot? Call us Mon-Fri from 8:00 a.m.-8:00 p.m. ET. at (833) 814-8590. As you may know, the Black Car Fund provides drivers in the black car industry with workers’ compensation benefits. In order to help its covered drivers stay healthy and reduce accidents that lead to injuries the Black Car Fund is sponsoring this Program for the purposes of injury and medical claims reduction. 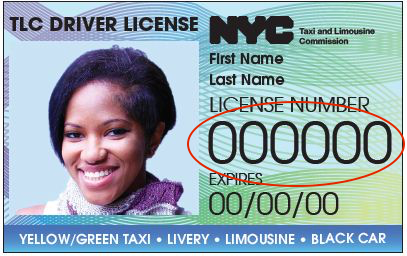 The Program is provided to you as a driver covered by the Black Car Fund and is not intended to provide you with any rights of employment or to otherwise affect your status as an independent contractor with respect to the Black Car Fund or with the dispatch base you are affiliated with. While we hope you will participate in the Program, the Program is entirely voluntary and you are not required to participate. If you are an employee driver, this Program is not sponsored or endorsed by your employer. The Program is not intended to be covered by the Employee Retirement Income Security Act (ERISA) or the Patient Protection and Affordable Care Act (“PPACA”). If you register for the telemedicine benefits available under the Program, you may become ineligible to contribute to a health savings account. Consult with your tax advisor for more information. The Black Car Fund reserves the right to revise or terminate this Program in whole or in part at any time, and for any reason.